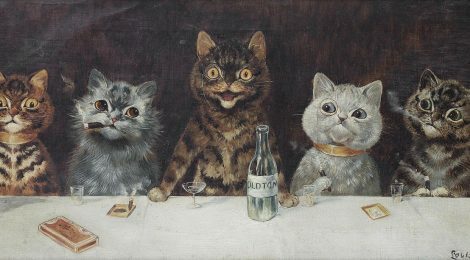 English artist Louis Wain (1860-1939) became well-known for his unique paintings all revolving around the humanization of cats. 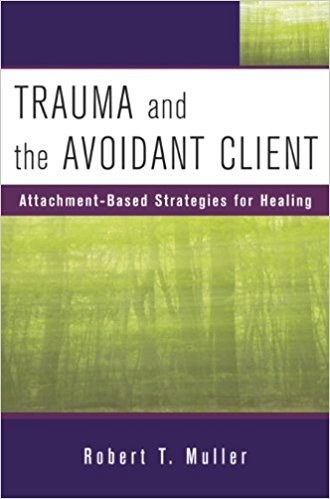 Wain was said to of suffered from paranoid delusions and Asperger’s syndrome. During his incarceration at Napsbury hospital in London he created his most prevalent work. 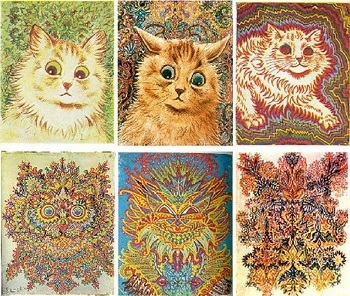 His paintings depict the worsening of his Schizophrenia as the cats become more abstract over the years he spends in the psychiatric hospital. It’s sad, to look at this sequence of paintings and imagine the changing state of mind of the artist.